Hi, this is Darlene Franklin, celebrating the release of my figure skating story, Golden Dreams. My heroine hopes to compete in the 1932 winter games, held in Lake Placid, New York. Held during the height of the Great Depression, the games needed a special leader to make sure they went smoothly. Enter Dr. Godfrey Dewey of the Lake Placid Club. In addition to bringing the games to his small town, he also donated land for the bobsled run. The bobsled event generated a lot of interest. Because President Hoover couldn’t leave Washington, New York Governor Franklin D. Roosevelt opened the games. However, Franklin’s wife Eleanor garnered more attention by accepting a ride—on a bobsled. I’ve always admired Eleanor Roosevelt, but I never guessed she was a daredevil. Eddie Eagan. He won his second gold medal in bobsled. His first? He won the boxing event in 1920, and he is only man to medal at both the Summer and Winter games. CBC and NBC broadcast the games by radio and shortwaves brought them to Europe. With the games so available, public interest grew. 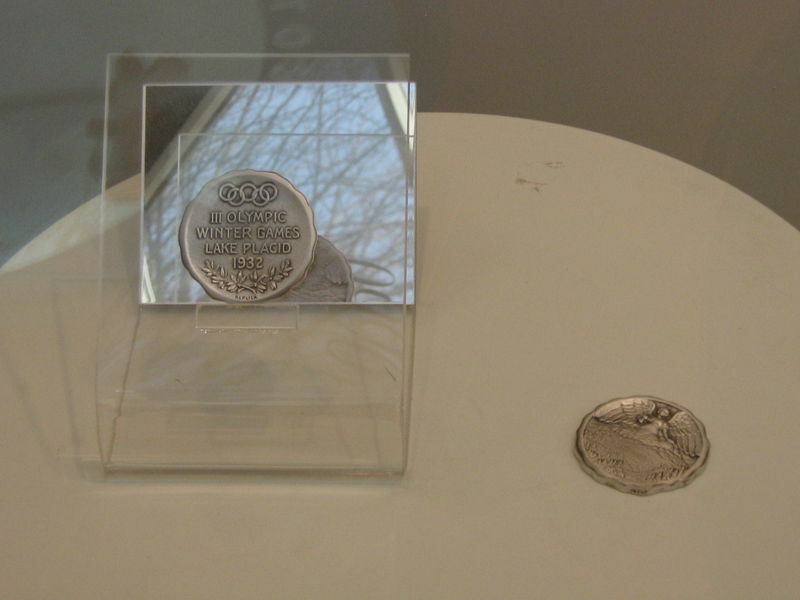 Figure skater Sonja Henie won the second of her three consecutive gold medals at Lake Placid. All the skating greats who have followed owe her for the popularity of the sport. Seventeen nations participated in the 1932 games. The United States won the medal tally, with a total of twelve. Norway came second, with ten. Contemporary powerhouses like Japan, Korea and Russia didn’t participate at all. Other contests were held in speed skating, Nordic skiing, and ice hockey, a total of fourteen events. Curling, sled dog racing, and speed skating for women rounded out the demonstration sports. Sled dog racing was never repeated—too bad. If you’re interested in figure skating and the 1932 Olympics, leave a comment below for a chance Golden Dreams. I am in awe of the athletic abilities shown during the summer and winter olympics. The skill, determination and talent shines through. Figure skating is always one of the events that captures my heart. Their grace and elegance while gliding on thin blades on a floor of ice is mesmerizing. I would love to win this book and how ironic, 1932 was the year my mother was born. I would love to win a copy of this book! It sounds great. I love this time period and Lake Placid, New York. Thanks for the chance to win. Love the interesting facts you've listed above! Elanor Roosevelt is awesome. It's crazy to think that only those few countries participated back then. Fun post! The Olympics are always fascinating to watch as men and women from around the world compete with such amazing skill and ability. Figure skating is so beautiful and one of my favorite Olympic sports! I can't wait to read about your heroine's story and Lake Placid in 1932! Thank you for sharing this interesting Olympic history and for the opportunity to win a copy of GOLDEN DREAMS! Melanie, my mother was born while the 1932 winter Olympics were being held. :) I even named one the babies born in the book after her, "Anita," who appears in (at least) two more of my Maple Notch books, although she doesn't have a book of her own. I also am in awe of those athletes, and there are so many feel good moments. Very interesting blog on Winter Olympics. First off, I noticed the outfit the man wore in the picture. He looks like a boxer. I only watch the figure skating and gymnastics portions in the Olympics! When I was in elementary school Oklahoma hosted a mini Olympics games called OK89 and my mom got us tickets to one of the figure skating events. I saw Nancy Kerrigan before she was THE Nancy Kerrigan-I even got her autograph!! So yeah, I kinda love figure skating and I would love to win your new book! I LOVE figure skating and did this sport myself also taught for 27 years from age 18mo. to 86 years and from the fun skater to the elite. I had to give it up in 1998 due to an accident where my back was broken and my ankle had surgery to replace the joint. I would love to read your book. I love the Winter Olympics and figure skating is so graceful. It's amazing how beautiful the ice skaters look on the rink. Mrs. Roosevelt was very brave to ride the bobsled. Thank you for sharing the history on the Olympics and please enter me in the giveaway. Your book sounds wonderful. Sharon, I loved the couple on the book. They looked very much the way I picture Frank and Winnie. Oh, my, I remember Nancy Kerrigan. Such elegance. I would really enjoy winning a copy of Golden Dreams, thank you for the chance. I love to watch figure skating - so graceful! Was as surprised as you, to read that Eleanor Roosevelt rode the bobsled. And - it WOULD be interesting to view sled dog racing in our current Olympics. I rode in a sled while visiting Alaska, a few years ago, however - it was on dry land, as I visited in the summer. But - I loved it, SO enjoyed the dogs, learning about their training, visiting their kennels, & seeing their puppies! 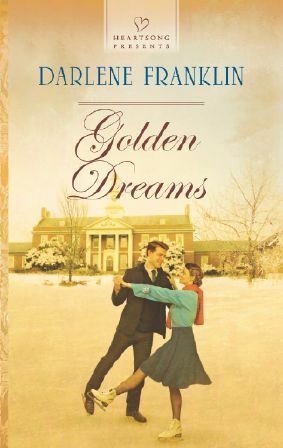 I would love to read Golden Dreams! Thanks for the opportunity to win a copy!